While skippering charters around the world, I’ve learned never to bypass the boat checkout or the chart briefing. While most charter-base managers are thorough with their briefings, be sure to ask about the following so that you’ll be armed with as much information as possible before setting out on unfamiliar waters. Hopefully, you’ve read up on your destination enough to have an idea of where you’d like to go and what you want to see. That said, guide books will only get you so far, so be sure to ask about local must-dos and recommendations. I once got a tip in the San Juan Islands—Orcas Island to be specific—about a wonderful organ concert that turned out to be the highlight of the trip. Also, ask about typical itineraries. That way you can either do the loop backward or offset it by a day to avoid all of the other charter boats that had the same plan, which can lead to a better overall experience. Don’t set an overly ambitious itinerary. Sure, you want to see it all, but trust me, racing from anchorage to anchorage in the hope of seeing and doing everything is more stressful than it is fun. Instead, ask the briefing manager about reasonable distances to cover in a day. You may also want to ask about backup options in case you get delayed, want to spend an extra day in one spot or have weather issues. Knowing where to hide during a nasty storm can make the difference between a good night’s rest or having to sit anchor watches. Red-right-returning doesn’t apply all around the world. 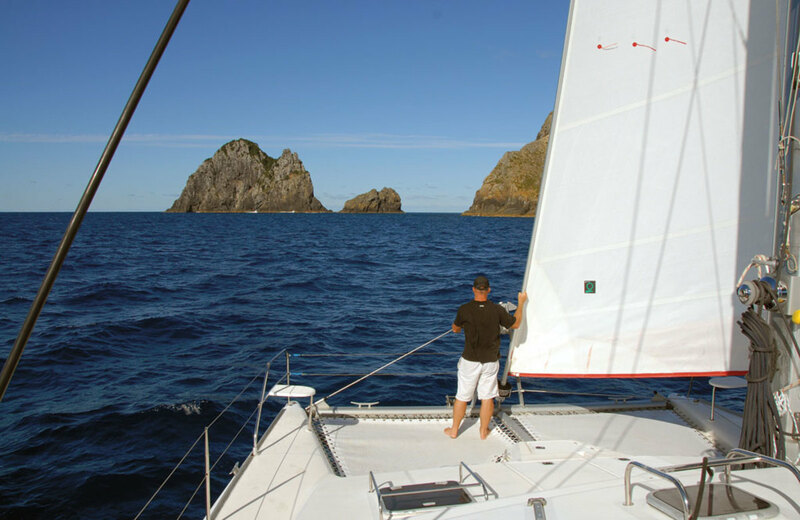 Get the scoop on the local navigation aids and what you’re likely to see. Cardinal marks that warn of hazards lying in a particular direction are an excellent case in point. In Tahiti, for example, understand that green triangles are on the reef side of a channel, while red squares are on the island side, and you need to be sure to keep somewhere in between. Inland navigation rules such as those on lakes and rivers are also different, so when in doubt ask, take notes and maybe even record the speaker with your smartphone. Charts won’t tell you everything. Listen for special warnings about unmarked hazards, underwater cables that could snag an anchor, temporary closures and shoaling near harbor entrances. Ask about moorings and whether or not they’re private. The last thing you want is to be ousted from a mooring when the owner shows up in the middle of the night. Ask how to pay for moorings and whether (and how much) to tip for services, such as those provided by boat boys in the Caribbean. Most briefings will discuss local weather conditions and prevailing winds. The base will usually give you a weather forecast that is good for a few days. After that, you’ll need additional sources of weather information. Find out which VHF station broadcasts weather, but keep in mind any communication barriers you might face. If the forecasts are not in a language you understand, it won’t help. Bringing along a tablet or smartphone is a good idea because it allows you to check the weather when you have access to Wi-Fi. Also, ask for the base phone number, so that you can check in there in the event you see the weather changing. Your chart briefing manager is an invaluable source of information. He or she knows the area, the attractions and the difficulties, so come armed with questions. If the briefing is for multiple parties and you have specific questions, take the manager aside afterward to be sure to get the extra information that could make or break your trip.